My last post reminded me of an episode of How I Met your Mother. Friends it all started with a search for a fascinator. To catch you up. I was invited to tea with the theme of Fancy Hats. I was looking for “hat inspiration” when I saw Victoria Beckham in this dress from the Royal Wedding. That side tracked me from fascinators to dresses. Found a pattern. 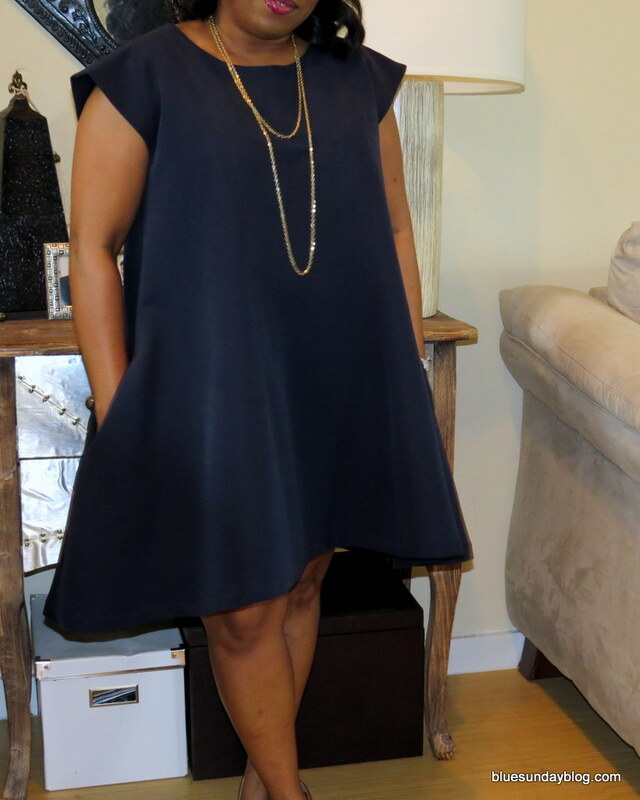 Made this dress. I was tempted to buy a hat … but I’m a maker. I’ll spare you the details of the decision-making process. The conversation in my head went something like this. I need a hat. Buy the hat. I’m a maker. Make the hat. I don’t know how to make that hat. Research online. Start a Pinterest board to keep up with all of the fascinator’s I’m finding. 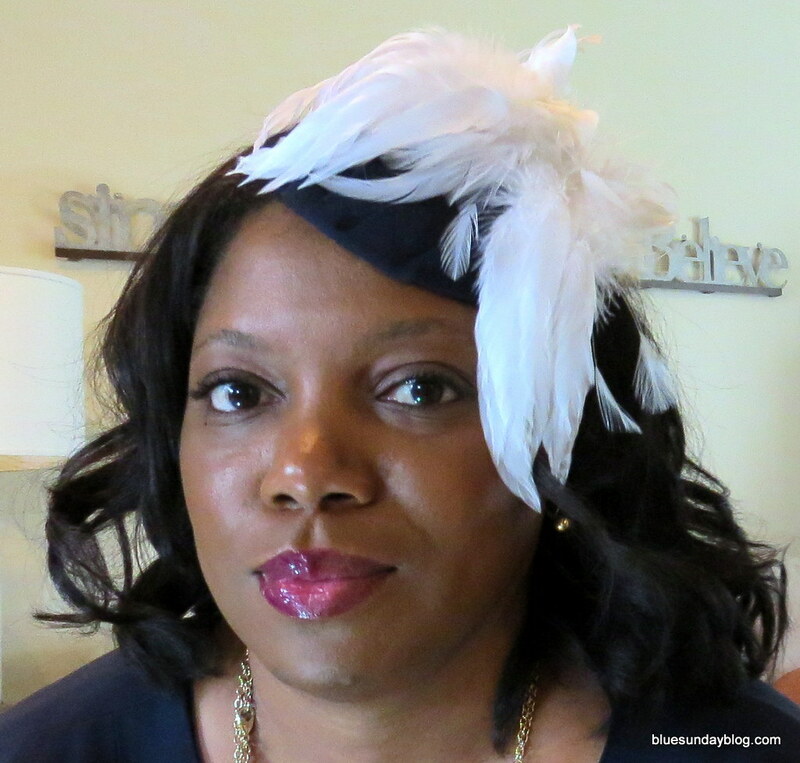 How do I make a fascinator? That looks hard. Need special tools. Maybe I don’t need special tools? What are the rules? There are no rules? Make what I want. I’m making a fascinator. I must say, I’m a hat girl. I love them. I own a lot of them. And I wear them fairly often. Heck – hats are the best way to cover up a bad hair day. 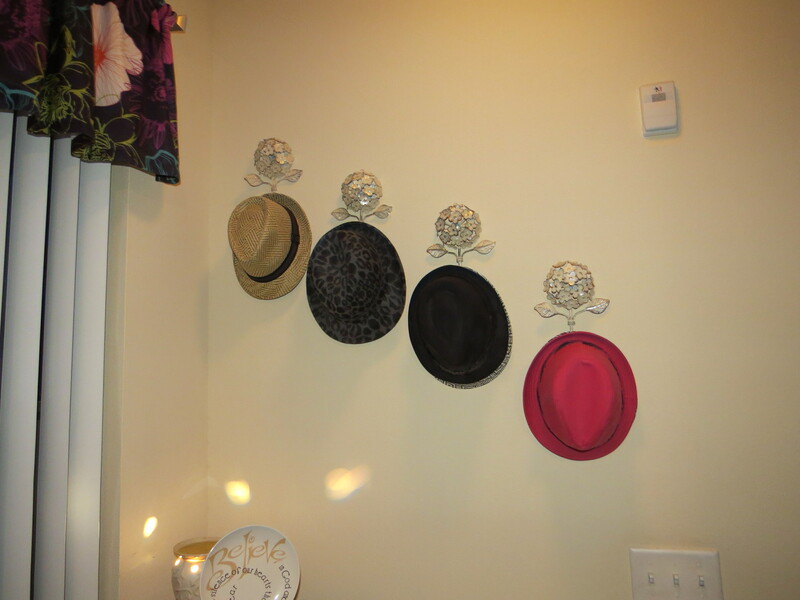 Anyone that has ever been over to my place knows I love my hats. 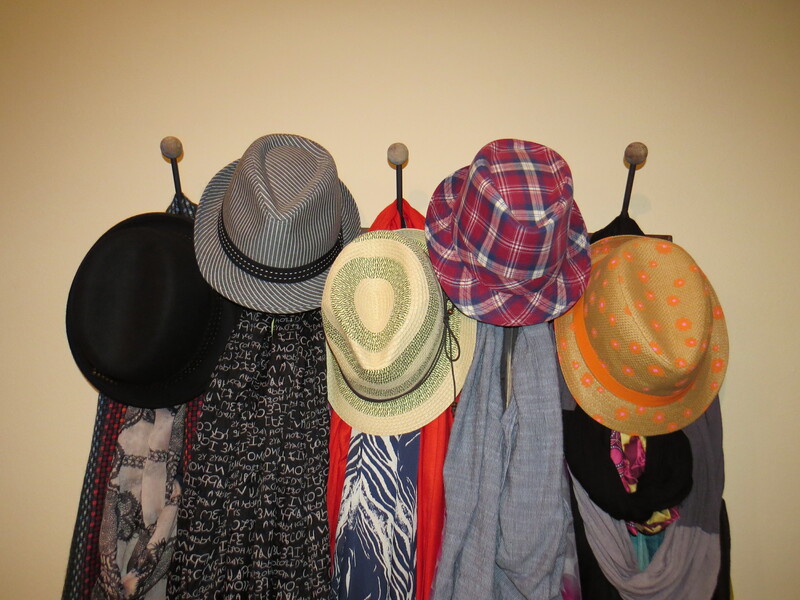 Hat and scarf rack downstairs. Though no stranger to hats in general. I don’t know anything about fascinators. Growing up in a Southern Baptist church … they remind me of the hats women would wear to church on Sundays. Big. Elaborate. Works of art. Often matching to a “t” exactly the suit or dress they were wearing. We attended church suited up. Especially the women … gloves, pantyhose, and a hat were standard, regardless of the weather. I guess that’s why the idea of a fascinator isn’t foreign to me. My research consisted of mostly pictures. Examples of what was possible. I also came across those bold brilliant Kentucky Derby Hats. From all those pictures, I learned there are no rules. I can do anything I want, from fabric, to flowers, to feathers. Any size I want. Large or small. Much like sewing … the opportunities are endless. 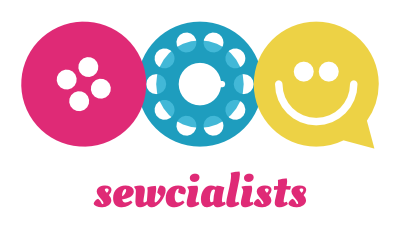 If you’d like to check out what I found, check out the Pinterest boards I created here and here. Before I go on I feel it necessary to say that this is not a tutorial. 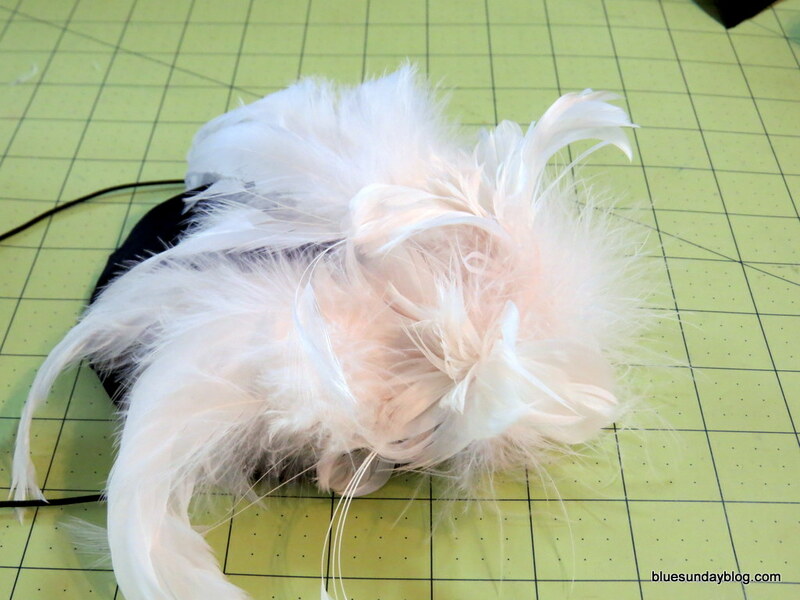 I’m sharing the process I used to create my fascinator. 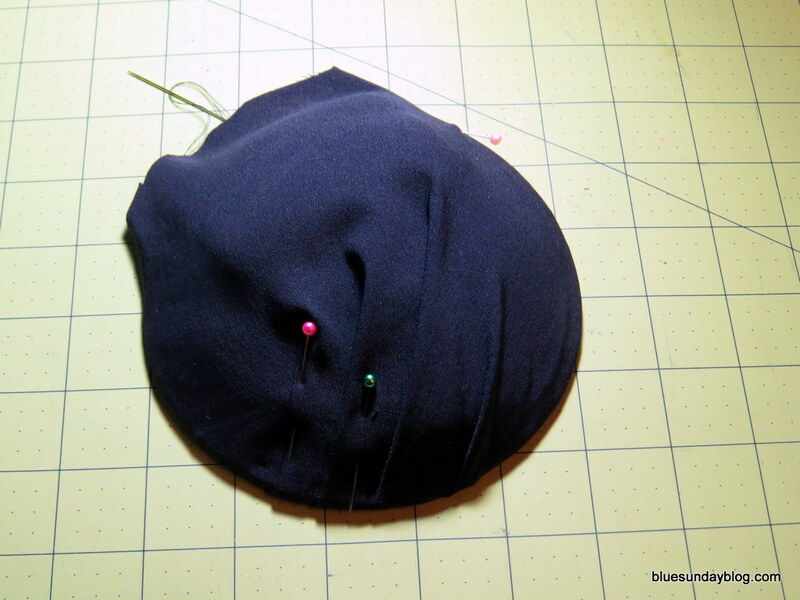 I thought about taking a class or investing in some of the equipment that milliners use, but in the end … unless my passions change … a hat maker I will not be. 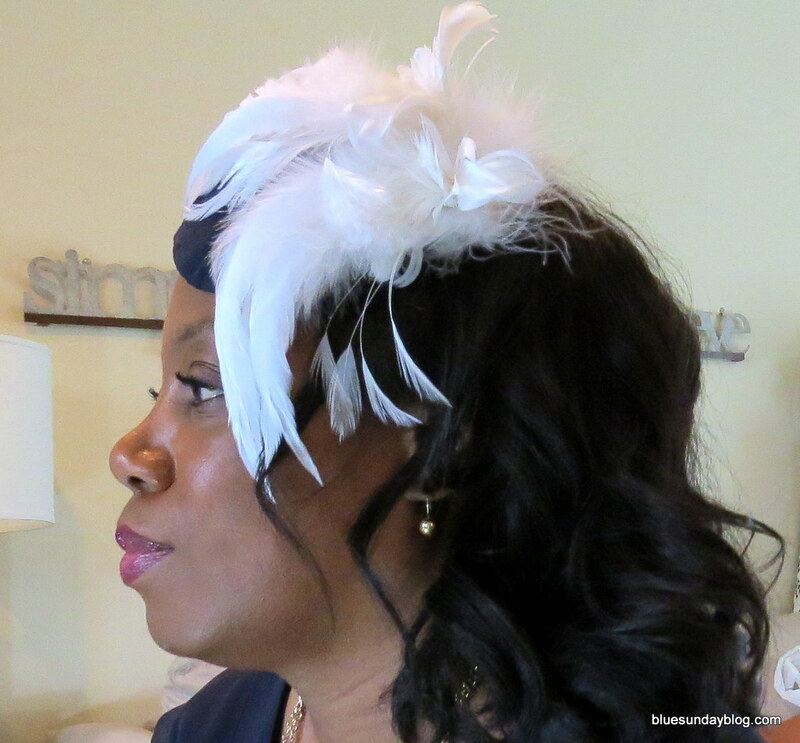 I did find resources along the way that assisted me throughout the process and if you’d like to make a fascinator … maybe they will help you as well. With the knowledge that anything was possible … from hats, headbands, combs, etc. What was helpful to me, was first having a general understanding of the construction process and materials. I downloaded Adornments to my tablet. This helped me narrow down exactly what I wanted to make and how I would construct it. I knew I wanted a true fascinator. Not a comb or headband. I also wanted feathers. With that, I needed supplies. I needed a base for my hat. Etsy solved that problem. 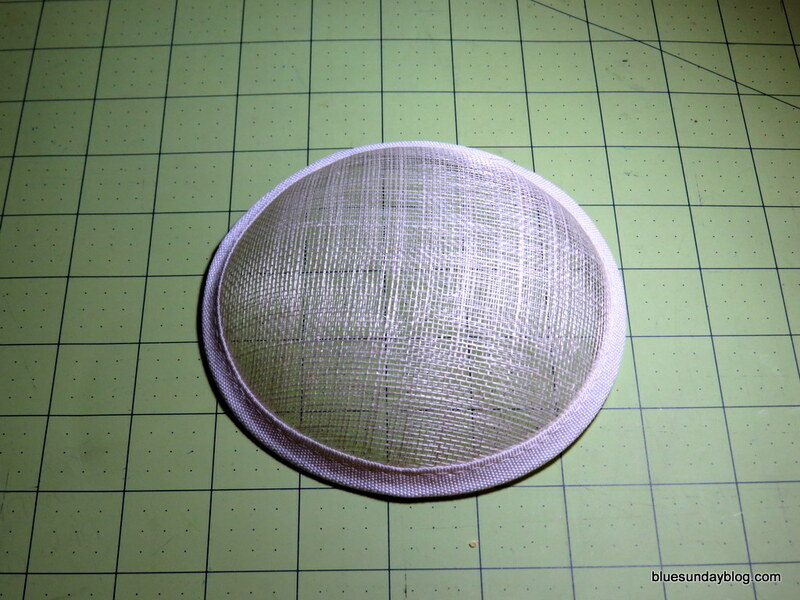 I purchased my sinamay base from KIMONOS Feathers. I ordered two of them just in case I jacked one up. I had excess fabric left over from my dress and I decided to use that to cover my fascinator base. I used this tutorial on Threads Magazine to properly cover the sinamay. Because I purchased a base that was already shaped in wired (remember I didn’t want to invest in the tools to mold the sinmay). I only followed the instructions that applied to properly attaching the fabric to the base. I personally struggled a bit with if I was going to use an elastic band or comb to hold the fascinator in place. I ultimately decided to use an elastic band. Deciding on what I would use to adorn my base was probably one of the most difficult decisions I had to make. I knew I wanted feathers, but what kind? What size? What color? Something else came up while I was researching this and it was price point. When it comes to clothing, quality is a big factor, and it doesn’t take a lot for me to justify the price tag. Nothing excessive. I still have to live within my means. 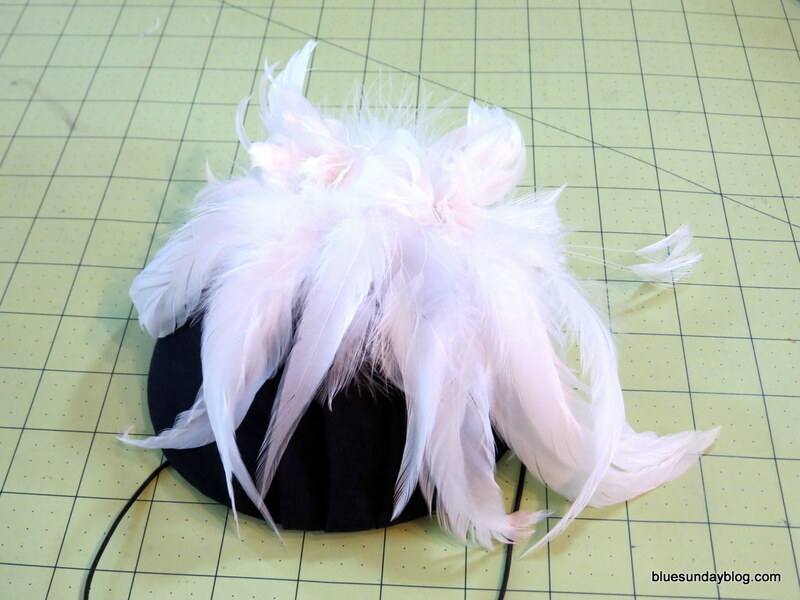 And though I wanted my fascinator to be nice, I was not prepared to spend $30 – $50 per feather to add to my base. So I had to tow a fine line here. I still wanted quality, but I didn’t want to spend a ton of money. I finally came across Save On Crafts, and found quality feathers at a good price. I elected to sew the flowers onto the base instead of gluing them. Though I didn’t spend a million dollars on my feathers, I didn’t want to destroy them with the glue. And by sewing them on, I can always repurpose them if I don’t wear the fascinator again. Overall I’m very happy with the final result. If I could have a do-over, the only thing I would change would be adding height. I’d make it taller. Add drama. Make it pop. I consider my adventure into fascinators a success and I’m happy I decided to make my hat instead of purchasing one. Do you ever have that “Do I purchase?” “Do I make?” debate? Where do you fall at the end of it? ← McCalls 6553 Perfect for Tea! I love it! A very successful first time trying millinery! Someday I hope to get myself a few of the more expensive millinery tools (I really want a hat block!) but I have a decent supply of the basics. 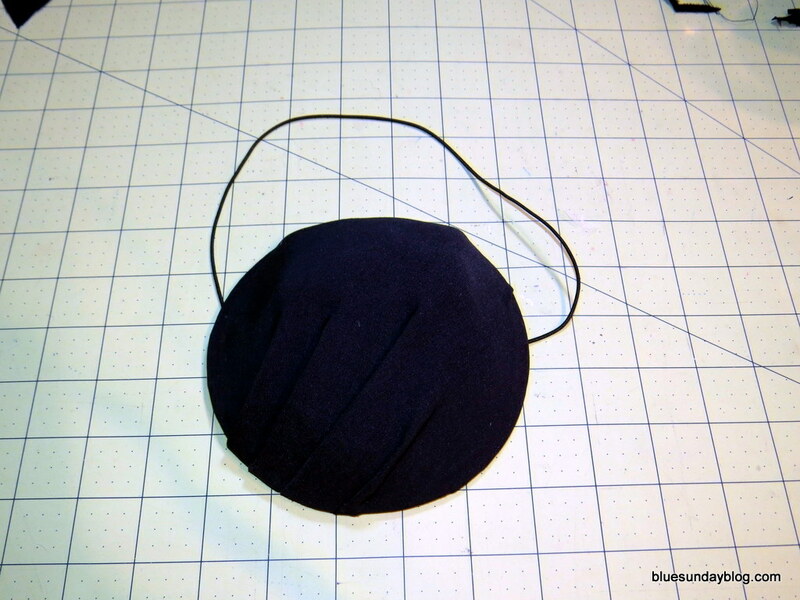 Hats are fun little projects and they don’t require all the fitting that clothes do. Well done! Bravo for taking on this new project, it looks great. I have been on the hunt for the perfect shorts pattern. I love Banana Republic’s style and fit, but for the amount I want, they would break the budget. I had the buy/ make battle recently. After testing a few patterns, I decided to throw in the towel and buy a pair. I plan to deconstruct them and make my own.